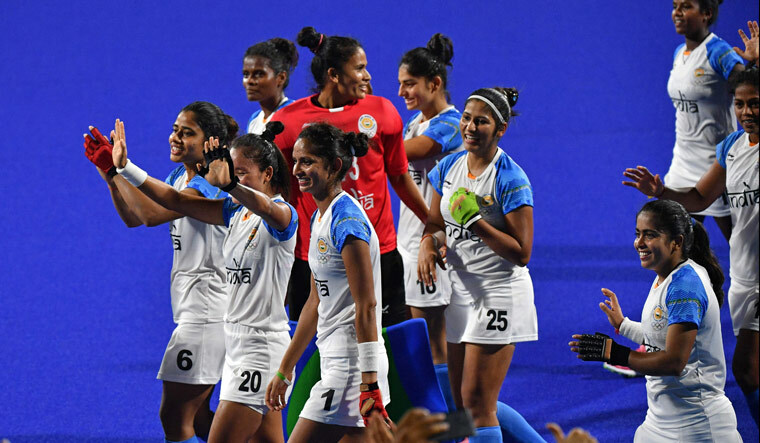 Having broken a 20-year-old jinx, a confident Indian women's hockey team will be desperate to end a long 36-year wait when it takes on Japan in the gold medal clash of the Asian Games here tomorrow. Last edition's bronze medallist India had registered a hard-fought 1-0 win over China yesterday to enter the final of the Asian Games after 20 years. The Indian women last made it to the summit clash of the Asian Games in Bangkok in 1998 and ended runners-up after losing to Korea. Having already achieved that goal, India's next target will be to reclaim the gold medal after 36 long years. India won its only Asian Games gold in the women's hockey way back in 1982 in New Delhi. Come tomorrow, they would be desperate to break that jinx and add to their one gold, one silver and three bronze medals tally from nine previous appearances. Going by world ranking and performance in the tournament so far, world no.9 India will start as favourites against 14th-ranked Japan. Like their male counterparts, the Indian women too have been impressive in the 2018 Asian Games so far with an unbeaten record, having registered huge victories against Indonesia (8-0), Kazakhstan (21-0), Korea (4-1) and Thailand (5-0) in the pool stages before the close win over resilient Chinese yesterday. India have been brilliant in defence so far and conceding just one goal in 300 minutes is a testimony to the fact. Deep Grace Ekka, Deepika, Gurjit Kaur, Sunita Lakra and youngster Reena Khokhar have all played a major role in backline. But chief coach Sjoerd Marijne doesn't believe in crediting an individual, instead he feels the credit for the strong display in defence is a result of collective effort. “We have been good in defence throughout the tournament. We have been excellent with tackling. The only goal we conceded was against a strong team like Korea, and that gives me and the girls huge confidence going into the final,” Marijne said on the eve of the all-important summit clash. The coach is aware of the threat Japan can pose, but said his players are confident about their abilities. “We have played Japan in the past and we know that they are a strong side. They have played well in this tournament and deserve to be in the final. But I believe we have the quality and confidence to beat any team in the world,” Marijne said. At 9, the Indians are currently the highest ranked side in women's hockey in Asia, but captain Rani Rampal wants more as a gold here will ensure a direct berth in 2020 Tokyo Olympics. “The final against Japan will be exciting for sure but we are determined to give everything on the pitch to win the match. The team knows that they came here to only achieve one thing, and that is qualification for the 2020 Tokyo Olympics,” she said. “We will make sure that we play like the best team in Asia and work hard to achieve our goal,” Rani added. India's forwardline, led by experienced Vandana Katariya and skipper Rani herself, has been in prime form throughout the tournament, scoring a total of 39 goals in the five matches that they have played here so far.